New South Wales-based equipment dealer Forest Centre is set to unveil the latest addition to its product stable, the TMK tree shear, at this year’s Diesel Dirt and Turf Expo in Penrith on April 13-15. The company, which has a long history of supplying forest machinery and attachments, will showcase the entire range at the event. There are three TMK shear models to suit excavators from the 2-tonne class upwards. Each can be fitted with optional accessories such as an accumulator arm for multi-stem handling, and range in cut capacity from 200mm to 400mm diameter. "Our background is in purpose-built and forestry-converted equipment for high-production timber harvesting and haulage operations," Forest Centre director and sales manager Rey Kell says. "There seems to be an ever-increasing number of operators contacting us from outside the forest industry, however, seeking safer and more-efficient attachments to handle timber across a range of applications." 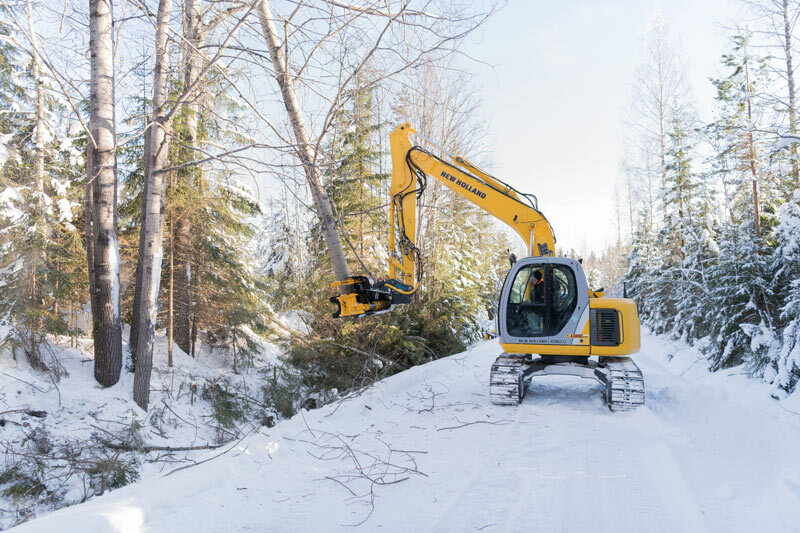 To meet this demand the Forest Centre attachment range has steadily grown, now catering for a variety of tasks from tree pruning, storm clean-up, dangerous limb removal and roadside clearing, through to loading trucks and feeding chippers. The purpose-built grapples and grapple saws, suited to excavators and even truck cranes, can reduce man-on-the-ground risks in tasks where it may no longer be necessary or safe to have personnel operating chainsaws or interacting closely with machinery. For more information visit Forest Centre online (www.forestcentre.com.au) or meet the team at Diesel Dirt and Turf Expo site number 112.